Achieving success in Pay Per Click advertising starts with understanding your online opportunity and aligning those opportunities with your business goals. The first step in understanding begins with a PPC Audit. Successful paid search campaigns start with identifying who your most valuable customer is and the language, or keywords, they use while searching for your business. The most exciting aspect of paid search is the ability to target only the audience that will not just click – but to ultimately convert and you do this by first identifying the market segment that will be most profitable to you. Evolve’s paid search experts are devoted to ensuring your marketing dollars are spent as efficiently as possible. Your business goals are aligned with your online opportunity to deliver you the greatest ROI. An audit will provide the foundation to build successful paid search campaigns to lower your cost per acquisition while increasing revenue and profit. Paid search organization makes or breaks your conversion rate. Ineffective ad messaging, poor keyword selection, and poorly converting pages are all factors that will hurt in realizing the greatest ROI from your PPC campaigns. Your goals become our goals. Download our Guide to Bidding on Branded Terms in Google AdWords. The first and most important step in the creation of a paid search account is the information that is provided by you. The PPC Audit starts with learning your business goals, who you consider are your competitors, and your past history in paid search, as well as what success, if any, you have gained from it. PPC is founded on keywords, as this is the language of your customer that allows them to be segmented appropriately. Keyword research is the most critical part of creating success in paid search. Poor keyword research and segmentation is detrimental to your budget as well as your chance to grow profitably. Your PPC ad copy will be created using the language of your most valuable customer discovered during keyword research. Ad copy is what inspires user to click through and ultimately complete the task you want them to do on your website. Even the best keyword lists can fail to perform if ad copy is not relatable to your customer. Keyword research not only allows us to discover the voice of your customer but it also allows us to find your online opportunity. Keywords represent the language your customers use to solve for a job to be done. Each job to be done represents an opportunity for you to be their solution. Segmenting keywords gives you the opportunity to budget and allocate sufficient funds to your target markets that are most likely to convert and are also your most profitable customers. Knowing your true online opportunity wouldn’t be complete without knowing how you compare to your competitors. In your PPC Audit, you will receive an unbiased overview of your competitors and how you compare to their efforts. Working with Evolve’s paid search team gives you the chance to be partners with one of the top paid search team’s in the nation. Our status as a Google Gold Agency gives proof to this claim. These brands have benefited from success PPC management to exceed business goals and expectations. Paid campaigns start with understanding where your opportunity online exists, the historical value of your PPC campaigns, and recommendations for your future success. Online Opportunity – PPC engagement begins with discovering the online opportunity from keyword research. Without knowing what and where your opportunity is online, how can you successfully create a paid search campaign? Value of Your Campaign – Our paid search experts dive deep into your current paid campaign and identify successes and failures in your campaign to that point. This will give you the historical value of your campaign and set you up for future success. Recommendations for Success – Having evaluated your previous campaigns, the paid search experts will deliver you the necessary recommendations to build campaigns to maximize growth for your budget. 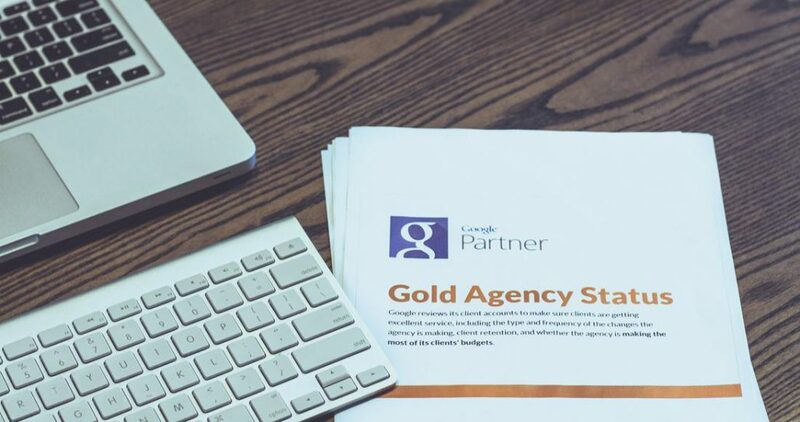 If our Gold Agency Status doesn’t impress you enough to manage your PPC campaigns, discover how our services have grown businesses like yours across industries such as Health Care, B2B, Telecom, and Business Innovators. View those success stories here or contact us to learn how you can get started.